This stylish peg mount provides 360 degrees adjust-ability so they can be used to position the peg closer to the rider or further away. It's 3-1/4" arm gives an incredible 6-1/2" range of adjustment. Incorporating an innovative locking device, this mount is guaranteed not to slip. 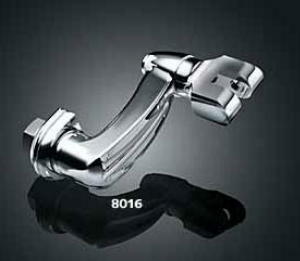 For use with Kuryakyn Magnum Quick Clamps only. See related product below. 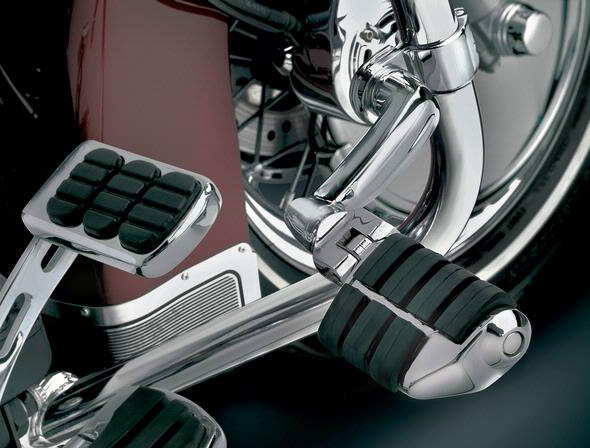 These Pegs mounts are compatible with all Kuryakyn Male Mount Pegs, shown below under related items.